To help thier teachers communicate better on easrly verbal communication with prospective and new students, GetStudents.net created several helpful audio phrases for teachers. English and other language teachers of Japanese native speakers can use these to negotiate, set up appointments, and explain your teaching system to prospective students. GetStudents.net is Japan's original language teacher & student introduction website. 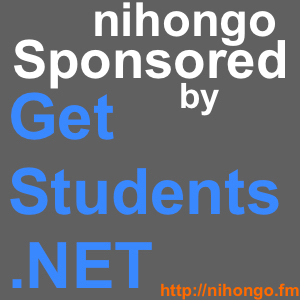 Created in 2001 (formerly called "findateacher.net) GetStudents.net has helped thousands of foreign teachers all over in Japan get private lesson students of English and 50 other langauges. This audio is FREE for GetStudents.net members. Please email Jake Rollins for details.